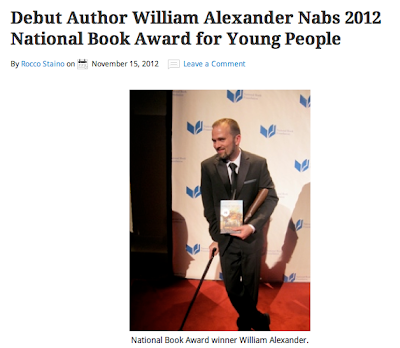 The 2012 National Book Awards were announced last night. 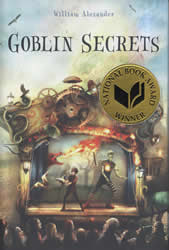 William Alexander's Goblin Secrets won in the Young People's Literature category. Congratulations to William and Simon and Schuster. I complied the following resources for your viewing pleasure. 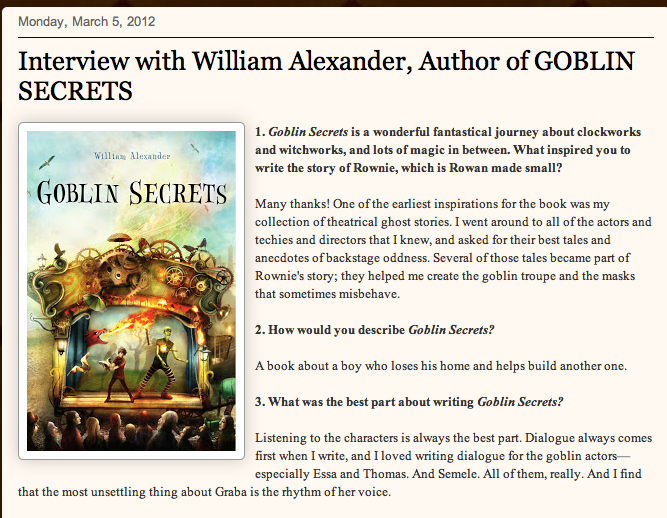 William Alexander recorded this video for Laura Given's nerdy review. The Enchanted Inkpot interviewed William Alexander about Goblin Secrets. the book, create masks, and explore Zombay. 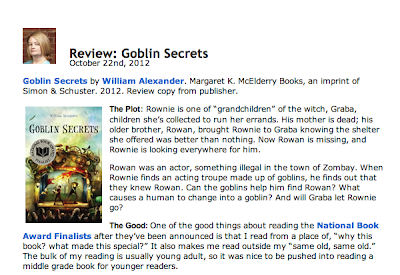 Read Liz's review of Goblin Secrets. 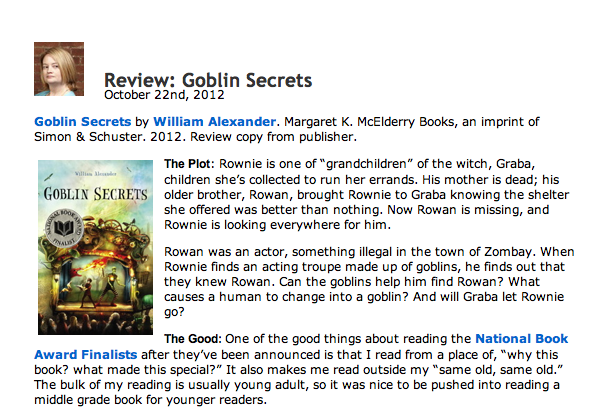 Borrow Goblin Secrets from your school or public library. Whenever possible, please support independent bookshops. I've put it on hold at the library! 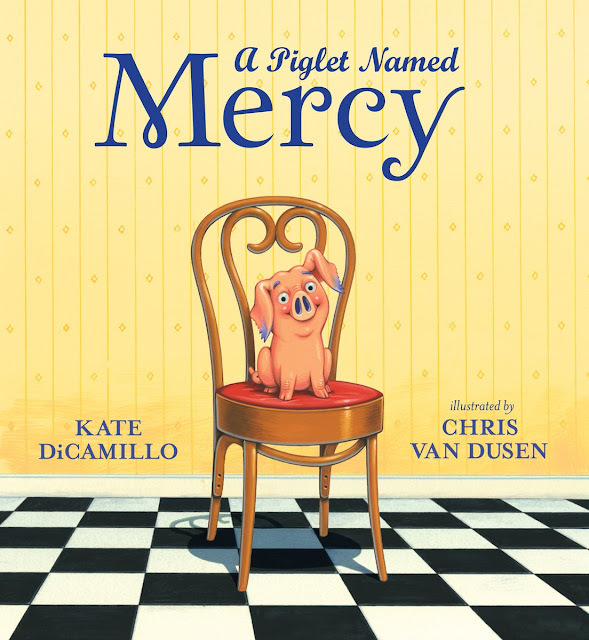 This one hadn't been on my radar, so I'm excited to read it. Thanks for all these resources to learn more about it.